AsiaNews Report:The Christians were detained yesterday in Satna. Their car was burned. Like every year, they wanted to reach a remote village to hold a Christmas carol service. 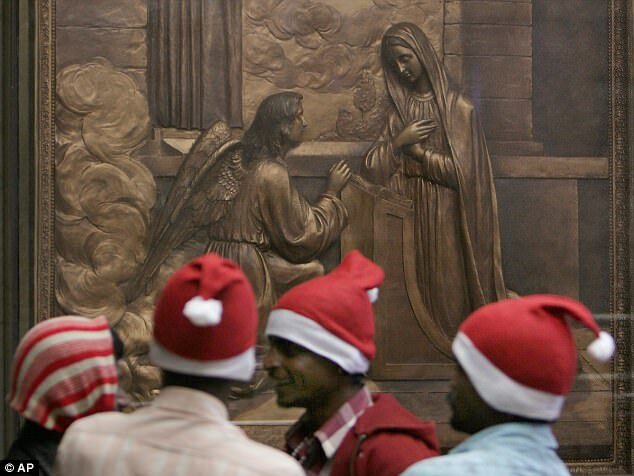 Mumbai (AsiaNews) - Yesterday in Satna, in Madhya Pradesh, 30 seminarians and two priests were held hostage by Hindu fundamentalists for a few hours, after being arrested while they were going to a distant village to perform a Christmas carol service. One of their cars was set on fire by the angry mob. Speaking to AsiaNews Fr. Stephen Maria, head of public relations in the Madhya Pradesh region, denounces: "The freedom to practice and profess one's faith is suspended by extremists. The celebrations of Christmas have already been disturbed. This is an attack on the secular nature of the country ". The seminarians and priests come from St. Ephrem's Theological College in Satna. Like every year, they were traveling to a village to perform a Carol service marking the birth of Jesus and bring his message of peace. Yesterday at 8 pm (local time) the priests and seminarians were blocked by fundamentalists and forced by them to follow them to the police station. The agents collected their depositions and wanted to release them, but the mob of extremists locked them up inside the structure, shouting against them. The Christians were able to leave the station only when the multitude dispersed and they no longer risked harm. Released outside, they found one of the cars burning. Stephen Maria relates: "The extremists have burned the car of our singers. They went to the village to give false testimony against the Christians, they wanted to show that they were proselityzing". The arrest in Satna is the second episode of intolerance against the Christian minority of Madhya Pradesh in this period of Advent. On December 10th, four Pentecostals were imprisoned in the village of Kalibai because they were "guilty" of praying for Christmas.